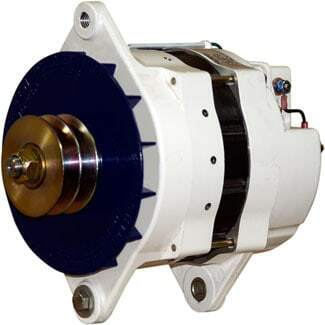 Built expressly for the added demands of large multi-battery banks, inverter loads and other substantial electrical demands, Extra-Large Case 97-Series Brushless Alternators provide the size, cooling and output across the range of engine RPM required to perform in a league with a small genset. 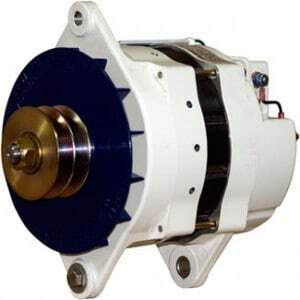 Extra-Large Case 97EHD-Series Alternators are appropriate for large diesel applications such as Caterpillar, Cummins, MTU and John Deere to service extensive house battery loads. 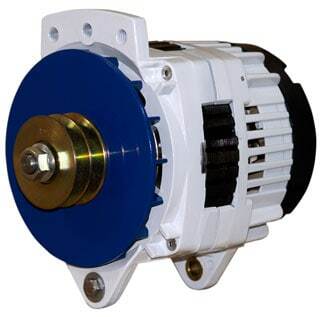 The Extra-Large Case 98-Series Alternator offers the capacity to produce nearly 5kW of DC output – on par with many small gensets. 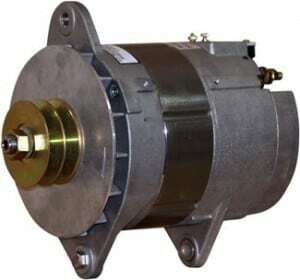 The 98-Series Alternator is currently used on USCG 43’ Lifeboats.